A virus gene that could be poisonous to humans has been missed when GM food crops have been assessed for safety. A new study by the EU's official food watchdog, the European Food Safety Authority(EFSA), has revealed that the international approval process for GM crops failed to identify the gene. They discovered that 54 of the 86 GM plants approved for commercial growing and food in the US, including corn and soya, contain the viral gene, which is known as 'Gene VI'. In this country, these crops are typically fed to farm animals producing meat, milk and eggs. Significantly, the EFSA researchers concluded that the presence of segments of Gene VI 'might result in unintended phenotypic changes'. Such changes include the creation of proteins that are toxic to humans. They could also trigger changes in the plants themselves, making them more vulnerable to pests. Critics say the revelations make clear that the GM approvals process, which has been in place for 20 years, is fatally flawed. They argue the only correct response is to recall all of the crops and food products involved. 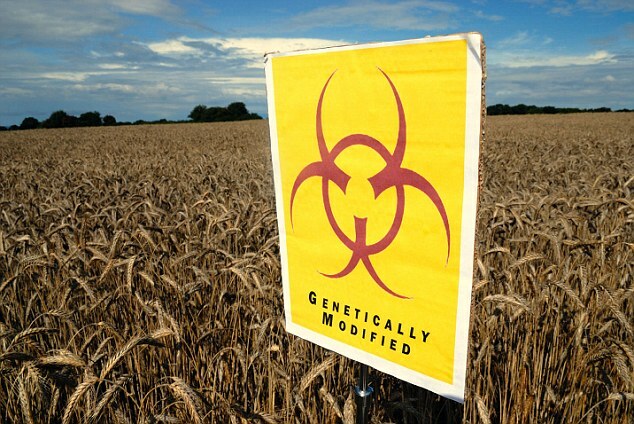 Director of the campaigning group, GM Freeze, Pete Riley, said the discovery of the gene, 'totally undermines claims that GM technology is safe, precise and predictable'. Typically, GM crops are modified in the laboratory to give them resistance to being sprayed with powerful weed killers such as Monsanto's Round-up. This means that, in theory, fields can be doused with the chemical, so wiping out the weeds and allowing the food plants to thrive. The modification process involves inserting genes into the plants using a technique that allows them to piggyback on viruses that are commonly found in the soil and plants. 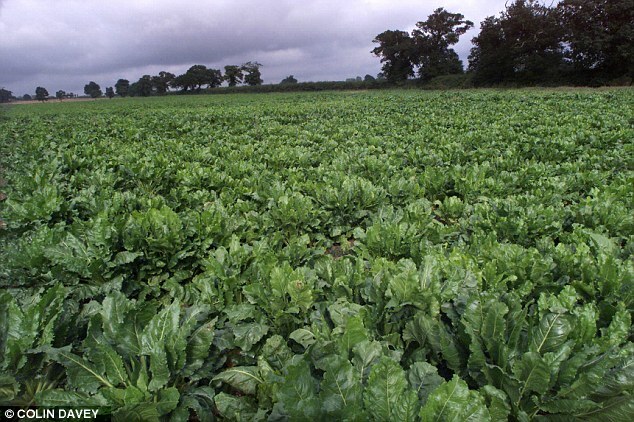 It has been assumed that virus genes are not present in the plant once it is grown in the field and reaches consumers, however it is now clear that this is not the case. A review of the EFSA research in Independent Science News said the presence of the viral gene appears to have been missed by biotech companies, universities and government regulators. 'This situation represents a complete and catastrophic system failure,' it said. 'There are clear indications that this viral gene might not be safe for human consumption. It also may disturb the normal functioning of crops, including their natural pest resistance. Biotech supporters argue that there is no evidence from countries such as the USA that eating GM food causes any harm. However, the reality is that no health monitoring has taken place to establish this. The findings will embarrass the government and the food and farming Secretary, Owen Patterson, who has embarked on a pro-GM propaganda exercise designed to win over sceptical consumers. Mr Patterson recently rejected public concerns as 'humbug' and 'complete nonsense'. Policy director at the Soil Association, Peter Melchett said: 'For years, GM companies have made a deliberate and chilling effort to stop independent scientists from looking at their products. 'This is what happens when there is a complete absence of independent scrutiny of their GM crops.' Biotech firms are represented by the Agricultural Biotechnology Council(ABC). Its chairman, Dr Julian Little, said the EFSA study was one small part of a strict and complex scrutiny process. He said: 'Over the past 25 years, the European Commission has funded more than 130 research projects involving 500 independent research groups which have found no higher risks to the environment or food chain from GM crops than from conventional plants and organisms. GM critics and EFSA are at odds over the implications of the research paper, which was written by the deputy chairman of the organisation’s advisory panel on the issue and a former senior member of staff. EFSA insists that the research highlighting the presence of Gene VI does not represent a new discovery of a viral gene and does not indicate a safety concern about GM crops already approved. It said the viral gene ‘cannot infect animals or humans and therefore presents no threat to human or animal health’. This is challenged by GM critics who say there is no research evidence to justify this statement. 15. Kendler BS. Supplemental conditionally essential nutrients in cardiovascular disease therapy. J Cardiovasc Nurs. 2006 Jan-Feb;21(1):9-16. 17. Lopaschuk GD. Treating ischemic heart disease by pharmacologically improving cardiac energy metabolism. Presse Med. 1998 Dec 12;27(39):2100-4. 41. Kuo TY, Huang CL, Yang JM, et al. The role of ribosylated-BSA in regulating PC12 cell viability. Cell Biol Toxicol. 2012 Aug;28(4): 255-67. 42. Wei Y, Han CS, Zhou J, Liu Y, Chen L, He RQ. d-ribose in glycation and protein aggregation. Biochim Biophys Acta. 2012 Apr;1820(4):488-94. 43. Han C, Lu Y, Wei Y, Liu Y, He R. D-ribose induces cellular protein glycation and impairs mouse spatial cognition. PLoS One. 2011;6(9):e24623. Congestive heart failure is a chronic, usually progressive myocardial disease characterized by the inability of the heart to pump enough blood to meet the body’s demands. Symptoms include fatigue, dyspnea, shortness of breath, dependent edema, palpitations, and in severe cases, life-threatening pulmonary edema develops with arrhythmias. Congestive heart failure can be subdivided into systolic and diastolic dysfunction. Systolic dysfunction is characterized by impaired contractility of the left ventricle and decreased left ventricular ejection fraction. This is the amount of blood that is pumped out of the left ventricle with each contraction. In contrast, diastolic dysfunction is characterized by impaired left ventricular filling in association with normal left ventricular contractility. Diastolic dysfunction has also been called heart failure with a preserved ejection fraction. While systolic heart failure is more widely recognized than diastolic heart failure, and has been the sub-type of congestive heart failure studies, in most clinical trials, diastolic heart failure appears to be much more common than previously recognized, occurring in as many as 55% of congestive heart failure patients in one study. Coronary artery disease, hypertension, and previous heart attack are among the most common causes of heart failure. When heart failure is not caused by these conditions, it is often called dilated cardiomyopathy. Known causes of dilated cardiomyopathy include infections like viral myocarditis, metabolic disorders, ischemia, and exposure to toxins such as alcohol or mercury. However, many cases are idiopathic, such as postpartum cardiomyopathy. Conventional treatments of heart failure may include sodium and fluid restriction, diuretics, ACE and ARB medications, beta blockers such as lopressor or Tenormin, and digoxin. Advances in treatment have improved the prognosis of patients with heart failure, but mortality remains high with a five-year survivor rate of about 50%. Common causes of death are progressive heart failure and in particular arrhythmias. Conventional treatments of heart failure is aimed mainly at minimizing the effects of disease, for example, by dilating blood vessels and decreasing the workload of the failing heart. Unlike conventional treatments, nutritional therapies may improve the health and functioning of the diseased myocardium. Therefore, the best results may be achieved by appropriately combining conventional and nutritional therapies. Patients with congestive heart failure have increased energy requirements because increased energy is utilized by the heart and lungs. Heart failure patients may also be deficient in protein and essential fatty acids as well as a wide range of micronutrients. Factors that lead to malnutrition include poor appetite, increased nutritional requirements, malabsorption and drug-induced nutritional deficiencies such as the diuretics that deplete magnesium, potassium and thiamine. A nutrient-dense diet combined with a broad-spectrum micronutrient supplement may improve cardiac function and enhance overall health. Limiting sodium intake to no more than 1000 to 2000-mg is generally recommended for heart failure patients. There is also evidence that increasing salt intake can promote the development of acute congestive heart failure. High salt intake results in hypertension, which is an independent risk factor for congestive heart failure. Chronic alcohol is one of the most common causes of cardiomyopathy. It is a direct toxin to the heart, and also leads to deficiency of various nutrients that are important for the heart function such as magnesium and thiamine. Magnesium is a co-factor for synthesis of ATP, which provides the energy needed for myocardial contraction. Animals fed a magnesium-deficient diet develop myocardial lesions that resemble those seen in alcohol cardiomyopathies. Low magnesium is common in congestive heart failure patients. Causes include the use of certain diuretics, digoxin, anorexia, and hormonal changes. Even when serum magnesium concentrations are normal, patients with congestive heart failure are likely to have low magnesium levels in the heart tissue. These levels have been found to be 24 to 65% lower in heart failure patients. In patients with heart failure, it was found that intravenous administration of magnesium was effective for short-term control of several ventricular arrhythmias in patients hospitalized with congestive heart failure. The benefits were even seen in patients with normal serum magnesium levels. It has also been reported to decrease the frequency of other arrhythmias. As a component of the electron-transport chain, Co-Q10 plays a key role in the energy production, and therefore it is essential for all energy-dependent processes including myocardial contraction. The mean blood level of Q10 was significantly lower in patients with dilated cardiomyopathy than controls. In addition, myocardial concentrations of Q10 in patients with cardiomyopathy decreased with increasing disease severity. In numerous uncontrolled and double-blind trials, supplementation with Q10 produced clinical improvements in patients with congestive heart failure or dilated cardiomyopathy; some patients’ benefits were profound. Improvements included increase in functional capacity and reduction in frequency of hospitalizations, and apparent increase in survival time. The dose is extremely important. There are conflicting studies on Q10, which in part, is explained by differences in patient population, the type of Q10, and the administration. It is important to note that the ‘statins lower Q10 levels and there have been reported cases of dilated cardiomyopathy who improve with Q10 supplementation on a ‘statin drug. In one study, administration of Lipitor to patients without history of heart failure resulted in a worsening of left ventricular diastolic dysfunction. This diverse effect was partially reversed by Q10. Based on these findings, combined with the evidence that Q10 may improve ‘statin-induced myalgia in some patients, Q10 supplementation should be considered for all patients taking ‘statin drugs. Carnitine plays a role in myocardial energy production by facilitating the transport of fatty acids in the mitochondria. Administration of Q10 has improved dilated cardiomyopathy in some studies. Severe thiamine deficiencies are a well-known, recognized cause of heart failure, beriberi heart disease. Patients with heart failure may be at increased risk for thiamine deficiency as a result of diuretic-induced urinary thiamine excretion, malabsorption and advanced age. Laboratory evidence of thiamine deficiency have been found in 12 to 98% of patients with congestive heart failure in various studies, depending on the assays. In several studies there has been increase in heart function after thiamine administration. Potassium plays a role in myocardial contraction, relaxation and the cardiac electrical system. In all forms of heart failure, heart cells lose potassium and magnesium and take-up sodium. This may increase and exacerbate heart failure leading to arrhythmias and increase in sudden death. Potassium depletion in congestive heart failure may be exacerbated by use of diuretics. The importance of taurine for cardiac function is suggested by the fact that it is actually transported in the myocardium to achieve concentrations several hundred times those in plasma. Taurine has been shown to stabilize cell membranes and increase the contractility of the heart, and has antiarrhythmic effects. It also improves cardiac function, and in some studies have been shown to decrease mortality. Arginine is a precursor to nitric oxide, which acts as a vasodilator. In a double-blind trial, supplementation with arginine for six weeks resulted in clinical improvement of congestive heart failure. In high doses, it should be supplemented with gamma-tocopherol and the two should be used together. Fatty acids improve endothelial function and should be used in all heart failure patients. Animals fed on a diet deficient in selenium and vitamin E develop areas of myocardial death and heart failure. Various studies have shown depletion of these are increased in congestive heart failure. Low vitamin D status is common in people with congestive heart failure, and it has been suggested that vitamin D deficiency can contribute to development of heart failure by increasing levels of parathyroid hormone. There is also an angiotension-reduction seen with vitamin D administration. D-ribose, which is a component of ATP is synthesized from glucose-6-phosphate. Patients in heart failure or with coronary artery disease have depleted ATP reserves and this can be repleted by ribose. In a three-week double-blind trial, administration of D-ribose 5-g three times a day significantly improved diastolic function in patients with congestive heart failure. This supplement is essential for cardiac health. In double-blind sutures, supplementation of 8-g per day of mixed essential amino acids improved exercise capacity in patients with congestive heart failure. Numerous clinical studies have shown that used an adjunct with conventional therapy, it significantly improves dyspnea, fatigue, and exercise capacity. There is a positive increase in contractility of the heart muscle. Combined hormone therapy with growth hormone, testosterone, progesterone, and estrogen used in a Bio-identical administration has been shown to increase contractility and preserve heart function in patients with congestive heart failure and cardiomyopathy, and thyroid, low T3 syndrome in heart failure patients. Approximately 10 years ago my father developed a mild heart attack and had some decreased heart function on a cardiac ultrasound. After administration of amino acids, growth hormone, testosterone, progesterone as well as antioxidant therapy and nutritionals described above, my father markedly improved and his heart function improved 20%. New therapies include hyperbaric oxygen as well as stem cell administration. As is often the case with nutritional therapies, patient’s with congestive heart failure may experience greater improvement with a combination of nutrients than with individual nutrients. In addition, when using combinations of nutrients, as well as natural hormones, hyperbaric oxygen, and stem cells, it may be possible to achieve successful results with lower doses, than those used in clinical trials. Based on the available evidence including my clinical experience, my first treatment would include that which I gave my dad: Magnesium, Q10, carnitine, B vitamins, taurine, selenium, potassium, hawthorn omega-3, ribose as well as growth hormone, testosterone and thyroid. Extensive laboratory testing is performed prior to the administration of any of these nutritionals or natural hormones, and then levels are checked and titrated appropriately. Feeding your libido and fueling your lust for life. by Kaayla T. Daniel, Ph.D., C.C.N. The level of seizures occur among today’s Illinois prison population is unknown. However, a 1978 study in JAMA reported seizure disorders at 1.9 percent among prisoners in Illinois, three times the level found in the general population.8 Although prisoners in the 1970s may have been spared the extremely high 100 grams of soy protein served up today, they most likely endured economy fare such as hamburger and other rations extended with soy grits, textured soy protein and soy flour. Whether soy on the menu might have caused such a high percentage of seizures is unknown. Prisoners, after all, may well have suffered for years from neurological damage that led to violent tendencies, crime and incarceration. Whether they were already seizure-prone individuals or not, the research of Westmark et al suggests their high soy diet could only have made matters worse. What’s most surprising about this research is that the mice fed a casein-based refined diet showed “decreased amyloid beta and attenuated seizure rates.” Casein is a fractionated milk protein that is high in the amino acid methionine and seriously deficient in cysteine. It has such a poor nutritional profile that the soy industry has found it a reliable “control” to use in studies where the intent is to make soy look good. Indeed Japanese research at the Faculty of Agriculture, Shizuoka University in Japan, has shown that casein will significantly raise total cholesterol levels and lower HDL levels compared to other proteins.15,16 Consequently most studies used to support the FDA’s 1999 soy/heart disease health claim are deeply flawed because of the routine use of casein as the control.17 In the case of the research done at the Waisman Center, the rats fed a chow comprised of casein, sugar and cornstarch came out on top, and the data clearly indicated “soy isoflavones are associated with decreased seizure threshold.” Indeed soy-restricted diets reduced seizures in multiple lines of mice bred for diseases in which they would be prone to seizures. To test the hypothesis that soy isoflavones promoted the seizures, the researchers determined to feed some of the mice chows that were supplemented with genistein and/or daidzein, the two isoflavones found in the highest quantity in soy. In plain English, audiogenic seizures are seizures brought on by the sound of an alarm. “Wild running” refers to an out-of-control style of running that progresses to loss of the righting reflex, tonic hind limb extension and other signs of seizure, often followed by death. “Righting reflexes” bring the body into a normal position in space and resist forces acting to displace it. They allow the animal to orient itself and regain its balance. Mice that do not die from the seizures regain the righting reflex and appear normal within a few minutes. Fibromyalgia is characterized by chronic, diffuse pain and tender points, often accompanied by extreme fatigue and other complaints. Beyond that, there’s a lot we don’t know about it. There are no definitive blood tests for diagnosing fibromyalgia and no consistently effective conventional treatments—symptoms rarely respond to the usual pain meds. Some doctors don’t think fibromyalgia is a real disease, and others believe it’s merely a physical reaction to stress, depression, or anxiety, which explains why antidepressants and other psychotropic drugs are often prescribed. Check for vitamin D deficiencies. People with diffuse pain often have low levels of vitamin D. Vitamin D deficiencies can cause a bone disorder called osteomalacia, which mimics fibromyalgia’s aches and pains. Low levels of this vitamin are also associated with depression and weight gain, other common coexisting conditions. Test for heavy metals. Middle-aged women, the group most likely to suffer with fibromyalgia, may have a high body burden of lead or other toxins. In some cases, a course of chelation dramatically improves symptoms. Measure hormone levels. Women of pre- and postmenopausal age are low not only in estrogen and progesterone but oftentimes in thyroid and adrenal hormones. Addressing hormonal deficiencies has profound effects on a wide range of symptoms. Reenergize patients with coenzyme Q10, L-carnitine, magnesium, and ribose. People with fibromyalgia (and its common sidekick, chronic fatigue syndrome) often have below-normal levels of adenosine triphosphate (ATP), the energy that fuels your cells. They also typically have a reduced ability to manufacture ATP in muscle cells. To improve cellular energy, I prescribe 200 mg of coenzyme Q10, 500–1,000 mg of L-carnitine, 500–1,000 mg of magnesium, and 10–15 g of ribose, all of which should be taken daily in divided doses. Though all of these nutrients are involved in cellular energy, ribose may be the most important. In one study, researchers gave 41 patients with fibromyalgia and/or chronic fatigue syndrome 5 grams of ribose three times a day. After four weeks, nearly 70 percent of the participants had significant improvements in symptoms and quality of life. Recommend melatonin for addressing poor sleep and pain. Many patients with fibromyalgia have sleep issues, and for them I recommend 1–3 mg of supplemental melatonin at bedtime. Known as the “sleep hormone,” melatonin has also been shown to reduce pain associated with fibromyalgia. Prescribe a course of clinical therapies. Patients with fibromyalgia respond well to several alternative therapies, including neurofeedback and microcurrent therapy. K.S., a nurse whose longstanding fibromyalgia limited the number of hours she was able to work, tried virtually every therapy under the sun. She’d get relief for a while, but her pain and fatigue always returned—until she discovered microcurrent therapy. Low-dose naltrexone (LDN) has also been demonstrated in clinical trials to be an effective treatment for fibromyalgia. The suggested dose of LDN (which has to be obtained through a compounding pharmacy) is 1.5–4.5 mg at bedtime. Unfortunately, there’s no one-size-fits-all treatment for fibromyalgia, and I can’t say exactly what might work for you. I can promise, however, that all of the therapies discussed above are safe and will likely have a net positive benefit on your overall health.